How much do you know about auctions? When carrying out a sales valuation/market appraisal, are you guilty of only giving the client the option of selling by private treaty? The 1979 Estate Agents Act, which covers sales and lettings agents as well as auctioneers, is clear that all methods of sale should be considered – private treaty, tenders and auctions. The biggest award ever made by the Property Ombudsman against an estate agent was where, after considerable marketing, a property was sold at a much lower figure than the original asking price. That buyer then immediately put the property into a public auction where it was sold for considerably more money. The original vendor took the case against the estate agent saying that he had not suggested auction as a method of sale and won the case. In the last 5 years property auctions as a percentage of the overall market have increased in popularity, and both buyers and sellers enjoy the certainty which auctions offer. 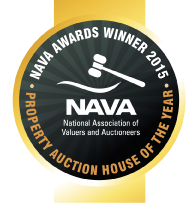 NAVA, The National Association of Valuers and Auctioneers are the only professional body in the UK to offer specialist auction training. So next time you carry out a market appraisal do think of more than just private treaty. Vendors will appreciate it and NAVA have had reports that by mentioning other methods of sale as well as private treaty, conversion rates on valuations have increased substantially. If you have a potential auction lot or would like to consider for auction or becoming a member of the Network Auctions partners, look at www.networkauctions.co.uk or phone 020 7871 0420 , also a great way to increase revenue. Guy Charrison FNAVA FNAEA is an experienced property auctioneer who acts as a consultant to a number of auction houses throughout the UK. Guy is the President of The National Association of Valuers and Auctioneers. Energy Performance Certificates to be linked to Council Tax? The Government is currently considering linking Council Tax bands to energy efficiency, meaning that the Council Tax level could be reduced for domestic properties where energy saving measures identified by a Green Deal assessment have been implemented. The Treasury has, for some time, considered the introduction of a tax incentive as a means of encouraging homeowners to make their properties more energy efficient although, to date, these plans have never reached fruition. Whilst the Council Tax discount has been linked to the Green Deal, it appears that homeowners may not actually be obliged to commit to a Green Deal finance package. They will be required to obtain a Green Deal Report, however, to qualify for the proposed tax break. The Office of National Statistics will launch a new inflation index to include owner occupiers’ housing costs in March next year. The new measure of consumer price inflation, which will initially be known as CPIH, will measure owner occupier housing costs using the rental equivalence method. This method uses changes in rental prices to measure the costs of owning, living in and maintaining a property. CPIH will be introduced in March 2013 at the same time as the annual Consumer Price Index and Retail Price Index basket of goods and services review. The CPI excludes a number of items mainly related to housing. These include council tax and a range of owner-occupier housing costs such as mortgage interest payments house depreciation, buildings insurance, estate agents and conveyancing fees. ONS started a consultation on the recommendation to use the rental equivalence approach to owner occupiers’ housing costs in June 2012 and will publish its full response on 13 November 2012. With their last sale of 2012 looming on December 6th, Network Auctions Director Toby Limbrick said: “The November sale was a great success and there is open more chance for property owners to sell at our auction this year. We shall, once again, be holding our sale at the Glaziers Hall near London Bridge and we anticipate a lively room as there will be a larger catalogue with a significant number of interesting lots from across the UK. Lots are currently being taken for inclusion in the December sale and the first sale of 2013 has already been set for March 6th. Toby Limbrick also commented that the number of partner agents joining Network Auctions is set to grow significantly and that announcements on new partners would be made shortly. This increase in partner agents follows a significant change in fee structure that now enables an agent to join and benefit from working with Network Auctions for just £250 and with an annual subscription of just £1 a day. The Essential Information Group (EIG) publish regular updates on the auction market. Their latest report shows the average sale success at auctions in 2012 to be 72%. At Network Auctions we are delighted to confirm that ours has been slightly ahead of this at 80%. We are delighted to confirm that Network Auctions will have a stand (Stand One) at The Negotiator Conference and Expo at London’s Park lane Hilton Hotel on Wednesday 24th October. In addition, Directors Guy Charrison and Toby Limbrick will be part of a "round table" discussion at the conference discussing the value and benefits to estate agents in offering residnetial auctions as part of their service offering. Network Auctions have recently announced a new pricing structure for partner agents which enables an estate agent to offer auctions in conjunction with Network Auctions for just £1 a day! Our next auction will take place at our national auction room at the Glaziers Hall, London on November 1st. To date, across our five auctions held so far in 2012, we have achieved an impressive sale rate of 81%, a clear sign that our mix of local expertise and marketing coupled with national promotion and auction is generating great results. Awareness of auctions as a method of sale has increased significantly and Directors Toby Limbrick and Guy Charrison are much in demand to speak about auctions at various industry conferences and seminars. Network Auctions’ new partner agent arrangements have also made it more attractive than ever for estate agents to join us and we are currently in the final stages of negotiations with several estate agents and anticipate extending our network even more widely across the UK. November’s auction has an interesting selection of lots and seller clients include lenders in possession, local authorities, executors, private sellers, PLC’s and asset managers.  It is Network Auctions’ expertise and their partner agent’s local knowledge that creates the opportunity for clients to enjoy a successful sale. This combination of national, local and regional marketing, coupled with good quality advice on guide prices and reserves, makes for a positive outcome. The option of being able to offer an auction sale is hugely valuable to partner agents, many of whom are securing instructions to sell property that would otherwise have gone elsewhere. Social media is an important marketing channel and our clients can find us on Facebook as Network Auctions and on Twitter as @NetworkAuctions. Over 1500 individuals and businesses follow us on a daily basis. All auctions are video streamed live to this website and the results tweeted directly from the auction room. Over 350 people regularly watch the auctions live via the video service. To keep up to date about Network Auctions’ auctions, regularly visit this website. You can elect to receive alerts on your mobile or by email. Auction catalogues and legal packs are downloadable from the site. Article from the National Association of Estate Agents magazine "The Estate Agent" on Guy Charrison, Auctioneer and Director at Network Auctions and Chairman of NAVA (National Associaion of Valuers & Auctioneers). The Government has approved a new measure that will allow developers to create two flats above shops without planning permission. Under current regulations, only one flat can be created above a shop without planning permission. However, from 1 October 2012, this will be increased to two flats above shops and financial and professional services premises. The change in permitted development rights applies to A1 (retail units) and A2 (financial/professional services units) commercial properties. The new planning rights are part of the Government’s response to Mary Portas’ review of high streets in the UK. It is hoped that the relaxation of the law will help increase the vitality of town centres by increasing footfall and providing a boost to high street regeneration. Toby Limbrick of Network Auctions said: "These changes should see enhanced interest in shop units with upper parts and this is good news for both investment buyers and sellers." Network Auctions going for growth! With auctions growing in popularity as a method of sale but requiring considerable investment and expertise to organise and run, it makes sense for the majority of agents to consider Network Auctions unique partnership proposition that retains and builds on an agents own branding and strength in the local marketplace. With regular auctions taking place in Central London, Network Auctions provide a unique combination of local expertise and marketing coupled with national exposure and promotion. All auctions are video streamed live to the Network Auctions website at www.networkauctions.co.uk and results shown on Twitter @NetworkAuctions as they happen. Agents partnering with Network Auctions benefit from a proven and successful auction operation without the huge investment costs and risks of setting up their own auction house. In Guy Charrison, Network Auctions have one of the UK’s leading auctioneers conducting their auctions and partner agents benefit from training, marketing and PR support. With a one off joining fee of just £250 and an annual subscription of just £1 per day, an agent secures an exclusive branch territory in which to operate. Network Auctions are currently taking lots for inclusion in their next auction which will be held in Central London on 1st November 2012. Network Auctions will be holding their next auction at their national auction room at Glaziers Hall overlooking the River Thames in Central London on 12th September H at 1pm. The September auction follows highly successful sales in May and July when 80% and 78% of lots, respectively, were sold. September’s auction has an interesting selection of twenty nine lots from across England and Wales ranging geographically from Bexhill on Sea to County Durham and with guide prices from just £4,000. Seller clients include lenders in possession, local authorities, executors, private sellers and asset managers. Once again Network Auctions’ partnership with agents across the country is enabling us to provide clients with an alternative route to selling property of all types and across all price ranges. Network Auctions make good use of social media in marketing and have their own Facebook pages. The auction on 12th September will once again have a live Twitter feed showing the results as they happen. Network Auctions can be followed on Twitter at @NetworkAuctions. The auction can also be followed live online at www.networkauctions.co.uk and the catalogue is also available for download from the website. Over 300 people watched the video stream of the July auction and there were a large number of bidders by telephone on the day as well as in the room. There was a rise in the number of vendors disposing of residential stock via the auction route during the first half this year (H1) resulting in greater overall turnover for estate agents with dedicated auction divisions, according to fresh figures provided by the Essential Information Group (EIG). EIG data reveals that there was a marginal fall in the sales rate in H1 2012 compared to corresponding period last year, despite the fact that there was a 7 per cent year-on-year rise in the volume of lots offered for sale at auctions across the country in H1 2012. The 16,092 units sold in H1 2012 continues the upward trend which has been evident since 2009, reinforcing the fact that auctions remain an attractive and desirable method of buying and selling property. In H1 2012, £1.62bn worth of property was sold through auction. This represents a five per cent increase on H1 2011 and builds on the small increases seen in the previous two years, but is still some way short of the record £3.1bn raised in H1 2007. Toby Limbrick, Director at Network Auctions said: These figures show the value in using auction as a method of disposal. Our two latest auctions saw sales success rates of 80% and 78% respectively and we expect thsi trend to continue with our next auction in September."